Time limitation Unlimited 20 minutes a day. Integrated with Microsoft Visual Studio. Learn how to. Integrated with Eclipse IDE. Learn how to. 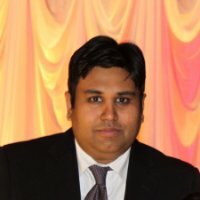 Integration with many bug \ issue trackers. Learn how to. 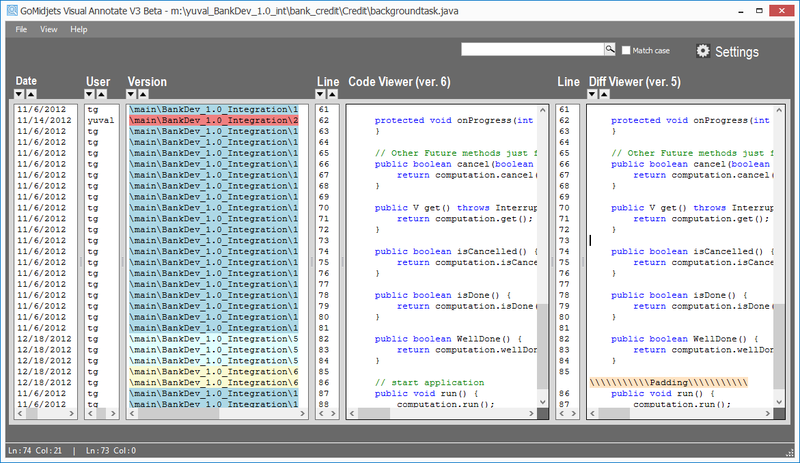 Integrated with comparison / differences tools like: Beyond Compare, ClearCase Diff Merge, Araxis, WinMerge etc. 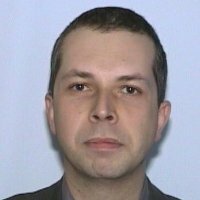 Available licenses Floating or Node-locked. 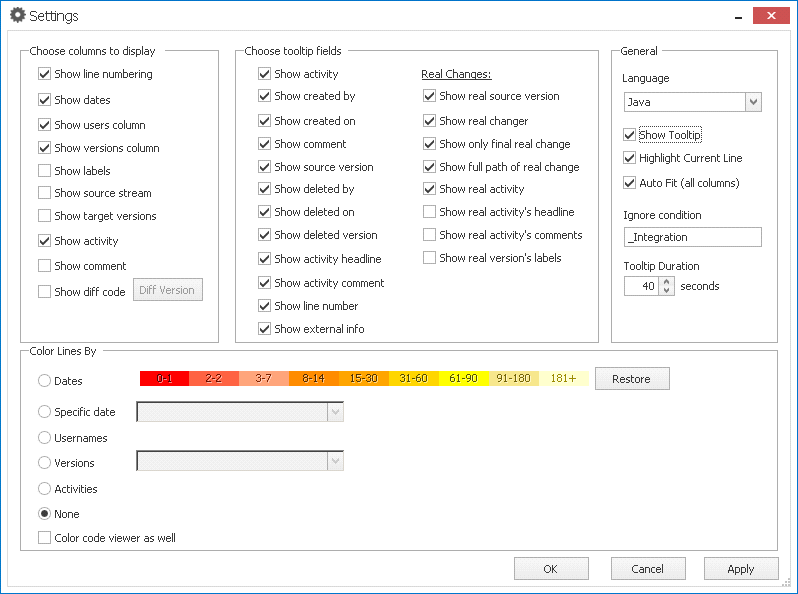 ALMtoolbox's Visual Annotate for ClearCase is a smart tool that enables developers on Windows to visually inspect changes to any given version of their software asset . It certainly improves developer and team productivity. Visual Annotate can quickly show the "real" source of a code change, no matter how many branching and merging it underwent since last change. It saves a lot of time when you need to determine the origin of a specific lines of code, especially with large and complex version trees. This widget is very useful to improve productivity during debugging. This is a very cool widget. There are some things you just want/need a GUI for, and this is one of them. 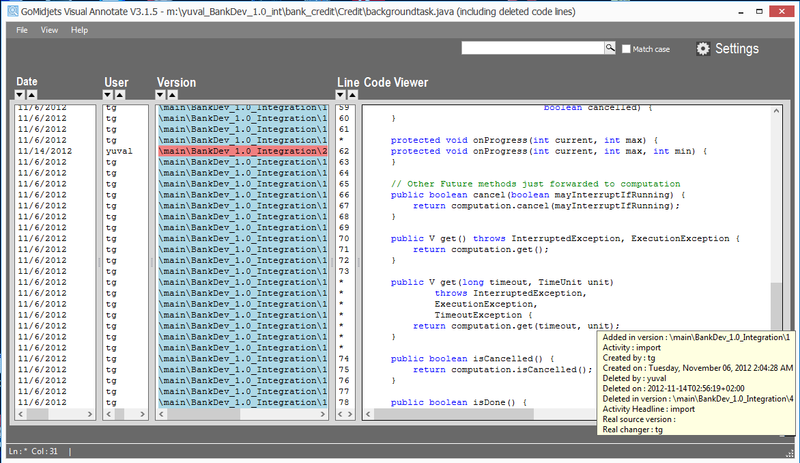 Visual Annotate quickly finds code snippets entered between certain points in time. the alternative is version tree search. well, that is a needle in haystack!